The above image, a poster from the 60-year anniversary of the construction of the Witch’s Hat on Tower Hill, was sent to me by a reader in the Netherlands. The top is apparently from Frederick W. Cappelen’s original design for the tower in 1913. The bottom is a groovy, so ’70s, panorama of Tower Hill. 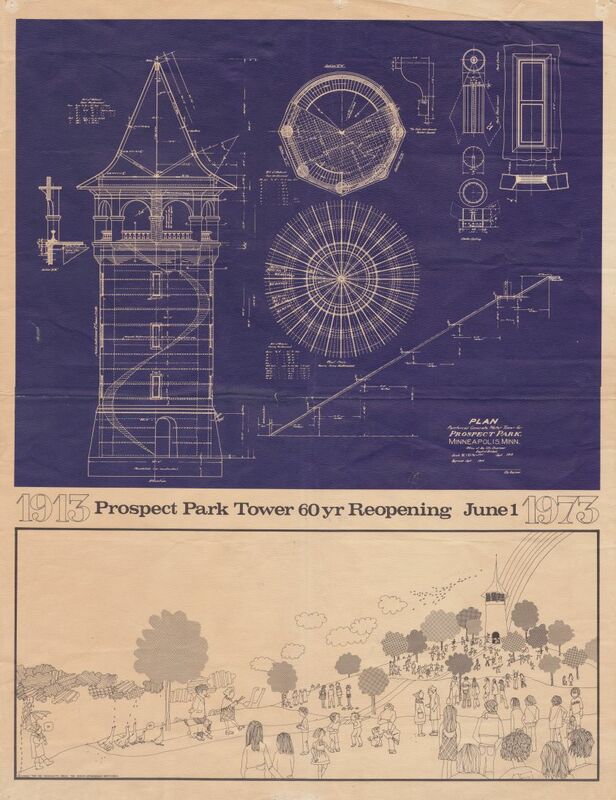 My correspondent from the Netherlands, who spent part of his youth in Prospect Park, wanted to know if a poster had been created for the centennial of the tower. I’m happy to report that plans are in the works for a poster and a t-shirt featuring the tower. Joe Ring informs me that because the official dedication of the tower didn’t take place until the summer of 1914, even though construction began in 1913, the neighborhood is holding the centennial this year instead of last year. So it looks like we may have two opportunities to climb the tower this summer and see what has to be the grandest panorama available in these parts. Pratt School, across the street from the park, is having its annual ice cream social May 30, 5-8 p.m.. That is typically the only day of the year when the tower is opened to the public. So enjoy some ice cream, listen to some music and climb the tower that night. But Joe informs me that the tower will be open for its centennial celebration on July 12 and 13, as well, with another concert planned for July 15. Definitely more dates to put on your summer calendar.